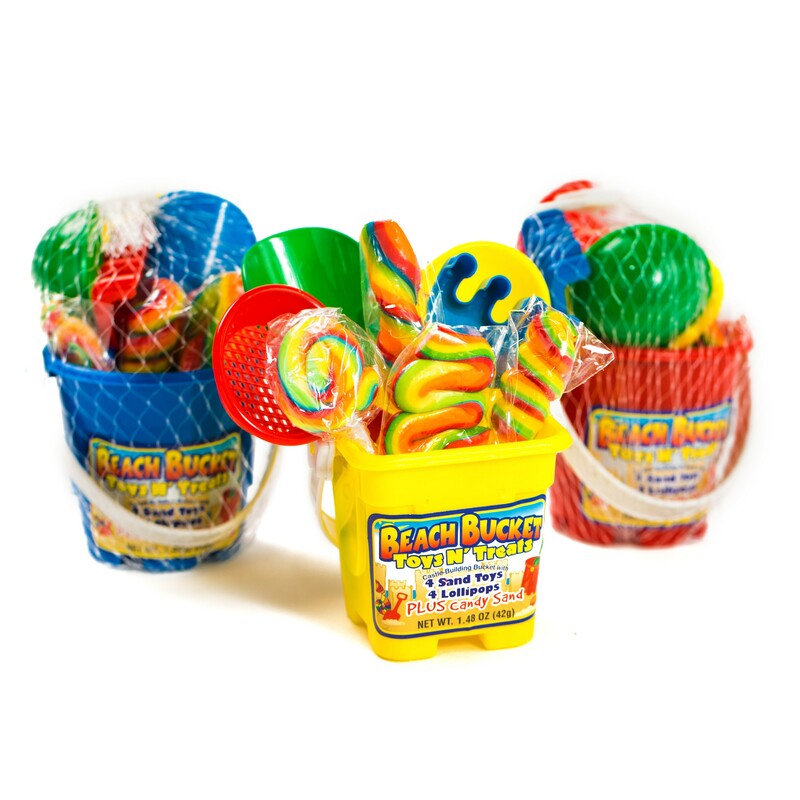 Bucket Toys N' Treats from Foreign Candy Company have everything for a perfect day at the beach – four mini swirl lollipops, four small sand toys and a pack of candy sand, all wrapped in a mesh bag. These candy/toys are perfect for kids and also make great beach themed party favors. There are 12 Mini Candy Beach Buckets per box. Beach Bucket Toys N' Treats is the perfect treat for any kid! 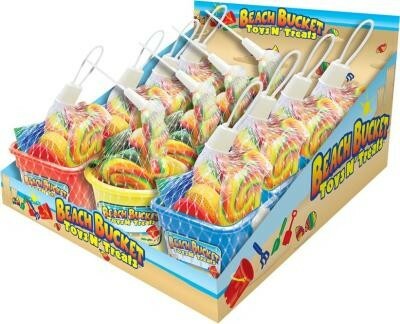 Whether you’re going to the beach, the lake, or just to the sandbox, Beach Bucket Toys N' Treats has something for everyone! Each castle-building bucket comes with 4 sand tools, 4 lollipops AND a packet of candy sand. These candy/toys are perfect for kids and also make great beach themed party favors. There are 12 Mini Candy Beach Buckets per box.